We have some exciting news: our brand new float & sauna room – which we’ve dubbed The Dojo – and our new Full Spectrum Infrared Sauna, is now available for booking! 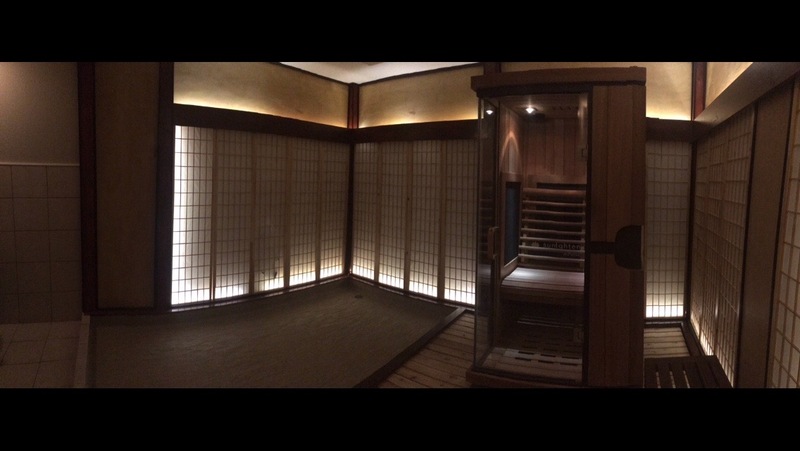 The brand new sauna is a significant upgrade from our previous sauna, which was limited to only far infrared therapy. The new sauna offers near, mid and far infrared. 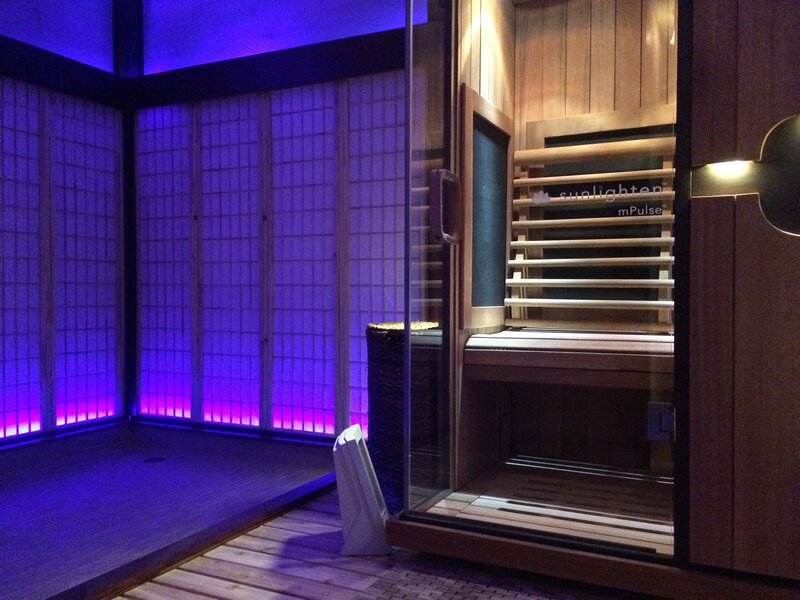 As far as we know, this is the only full spectrum infrared sauna in the South Sound. You can learn more about it on our Infrared Sauna Therapy page. The prices have gone up just slightly, from $20 per session to $25. It’s a small increase for a big upgrade. Our 10-session package is now $170 (a 30% savings), and our monthly sauna membership is $150 (40% savings). However, the length of sauna sessions has also gone up. You now get a full 45 minutes in The Dojo, which guarantees you a full 30 minute sauna session, plus plenty of time for a shower. If you want a full hour, you could just book two sessions back to back, no problem. Our new room is themed after martial arts studios. In Japanese, the term dōjō translates to “place of the way”, the “way” being the work, or training, that occurs in the room. The inspiration for this theme will come together when we install our Oasis float tank over the next few weeks – that will go in the blank space to the left of the sauna that you see in the photo – which will provide a space for “the way”, the mental training that can occur during a float. We put a lot of effort into creating a beautiful, clean space inspired by the principles of feng shui and Asian design, with some relaxing ambient lighting for you to unwind fully into, whether that’s in the sauna, the Oasis float tank, or both. We also plan on creating some couples services for The Dojo, as we know doing things together is frequently requested. It’s been fun giving birth to a new part of The Soul Space. We really hope you enjoy using it as much as we did building it! Oly Float is Olympia's only float tank center, offering floatation therapy - or "sensory deprivation" - services to professionals, athletes, meditators, soul searchers, and everyone in between. Our office, The Soul Space, also offers a variety of related wellness services, including massage, infrared sauna, craniosacral therapy, intuitive counseling and energy work Learn more about us. Ready to book a session? If you have a preference, you can choose a specific float room, a float duration, or other Soul Space service, and then book online. For same-day reservations or questions, please call us at (360) 972-3031. Save up to 50% on our services with a monthly membership, the best commitment to your own self-care. Plans available for floats, massage, sauna or intuitive counseling. Christmas Specials. Buy 3, Get 1 Free.